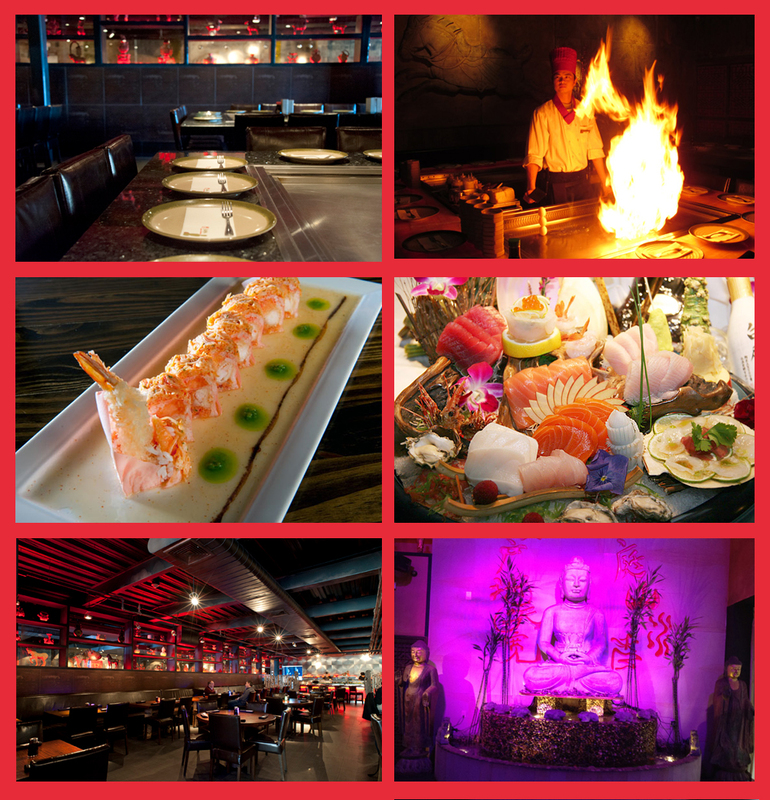 At Buddha, we aim to redefine the traditional Hibachi experience by upgrading it to a true culinary treat while keeping our eclectic menus moderately priced. Upon entering Buddha, you immediately notice the classic Asian styling mixed with modern industrial flare. Your dining experience is enhanced by an eclectic arrangement of soothing music and intimate lighting. Rounding out our decor is the cocktail bar, a trendy yet relaxed scene welcoming all to a menu of delectable wines, sakes and house created signature drinks. You are sure to find your next favorite drink here. The Sushi, Kitchen & Hibachi chefs are well trained in traditional Asian and Japanese cuisines but do not hesitate to introduce their own modern nuances into each inspired dish. So come join us for lunch or dinner. Our knowledgeable and friendly staff is more than happy to make your dining experience enjoyable. The concept of creating a fusion restaurant is easy. Translating that concept into a special experience requires thinking outside the box. We successfully cater to families as well as satisfying the taste buds of a more discerning crowd of hip younger adults by partitioning the restaurant into two sides. The fine-dining room, home to the sushi bar and the hibachi area, home to twelve communal tables set back-to-back in groups of two where you can enjoy banquette style seating. Located at the Rye Ridge Shopping Center in Westchester County, we began firing-up our grills in May 2011. You will find our interior has several impressive Buddha statues and ancient Asian antiques & chandeliers. The high industrial ceiling is more urban than suburban. As for the food, the choices are extensive. Choose from Hibachi style dining, sushi at the sushi bar or a dining table and enjoy the wide variety of innovative and tasty Pan Asian fusion dishes. You will be truly inspired by the dramatic and attractive décor. It’s almost like discovering Xanadu! Escape the daily routines and worries in this mood-lit oasis and listen to the soothing sound of the fountain while enjoying the exceptional food and service. We sincerely hope to see again very soon.